Gardner Botsford's passing in the fall of 2004 was marked by a wonderful obituary in the New Yorker. Gardner Botsford tells the fascinating and humorous story of his W.W. II experiences, from his assignment to the infantry due to a paperwork error to a fearful trans-Atlantic crossing on the Queen Mary, to landing under heavy fire on Omaha Beach and the Liberation of Paris. 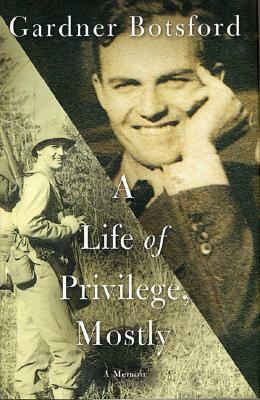 After the war, he began a distinguished literary career as a long-time editor at the New Yorker, and chronicles the magazine’s rise and influence on postwar American culture with wit and grace. Born in 1917, Gardner Botsford was a distinguished editor at "The New Yorker" from the late 1940s, following his military service in W.W. II, until his retirement in 1982.